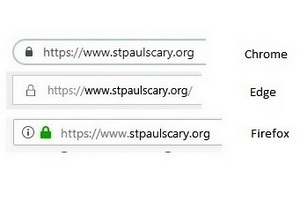 Notice anything different about our website (www.stpaulscary.org)? 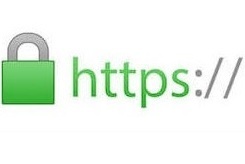 Up top, where the web address is, it shows a little padlock, and instead of HTTP, it now shows HTTPS. Our website is now secure, meaning that information is encrypted in its journey between your web browser and the web server. This makes improvements such as keeping bad guys from accessing the info you send to St. Paul’s via the website. This also helps our Google rankings and provides users of our website with an increased level of trust. There should not be any noticeable changes to the website, but if you do notice that anything isn’t working right, please contact administrator@stpaulscary.org.